Happy Pi Day!!! 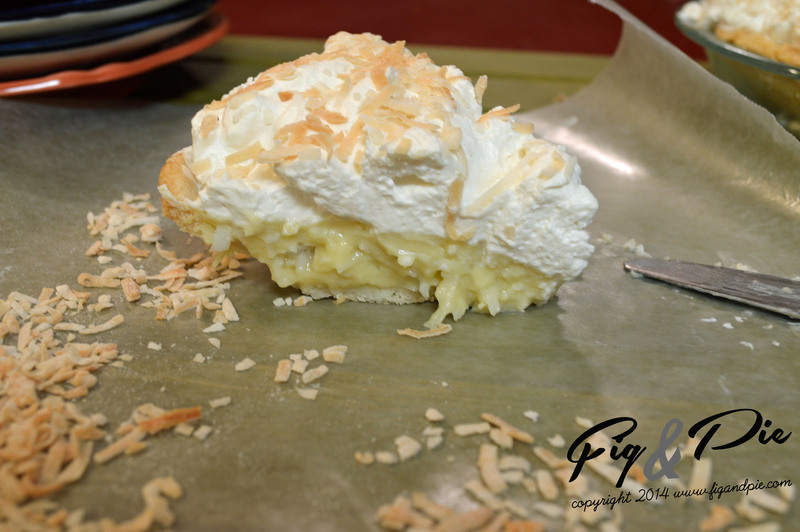 In honor of 3.14 I thought I’d post a recipe for a pie, and an amazing pie: coconut cream pie. 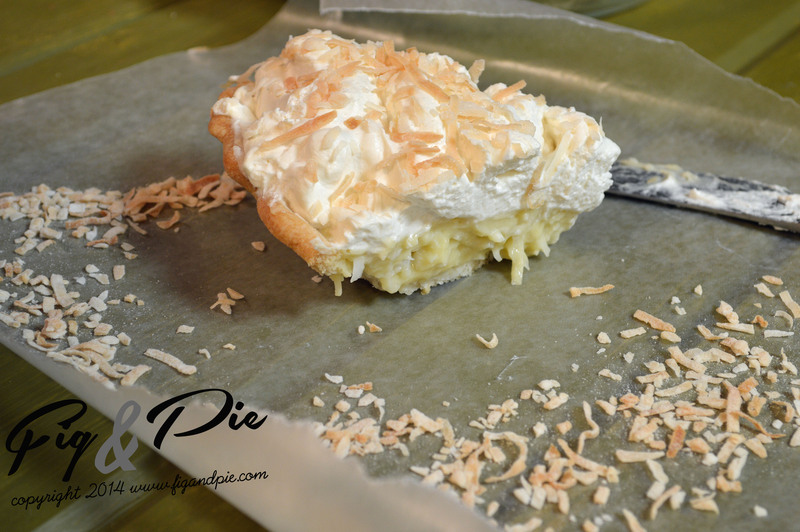 This can be made two ways 1) for those of you who like a lot of coconut in every bite 2) for those of you who don’t dig as much coconut (like me). The custard is amazing, out of this world delicious. I seriously think I am just going to make a batch to eat as pudding. 1. Roll out pie crust and place in pie dish. Bake until golden brown in pre-heated 400 degree oven, I always place beans on top of tin foil to weigh the dough down and then remove for the last 10 minutes of baking. 2. 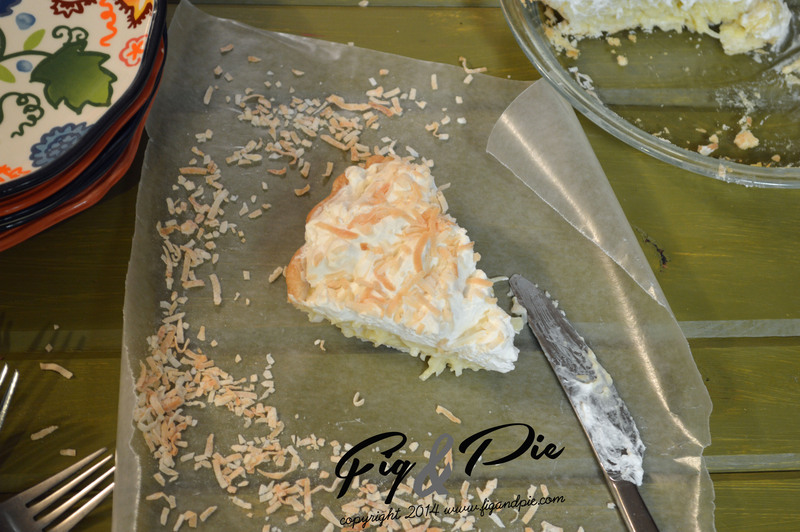 Spread the 1/2 cup of coconut flakes out on a large baking dish – you only want want one layer – and bake in a pre-heated oven for 8-10 minutes stirring every few minutes. 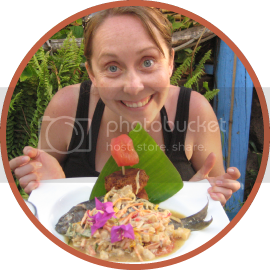 You want the coconut flakes to be golden brown. Remove from the oven and set aside. 3. Pour the coconut milk and half & half into a small bowl and stir together. Add the egg yokes and whisk together. Set aside. 4. Add the sugar and cornstarch to a heavy bottom pan and stir together. Turn the heat to medium-low. Whisk in the milk and egg mixture. Continue to whisk constantly. 5. Bring the custard mixture to a boil, whisking constantly. You don’t want the custard to burn. Continue to boil until the custard has thickened up, which will be about 2-4 minutes. 6. Remove the custard from the heat and add the butter, vanilla, salt and coconut (if you are adding the coconut to the custard mixture). 7. Pour the custard into the baked pie crust and spread until smooth and even. Cover with plastic wrap and cool in the refrigerator for about one hour. 8. If you are adding less coconut to the pie, once the custard has cooled spread half of the toasted coconut over the custard. 9. Whisk the heavy whipping cream in a bowl just until small peaks form. Stir in the sugar and vanilla. 10. Scope out on top of the custard. Refrigerate until ready to serve. 11. 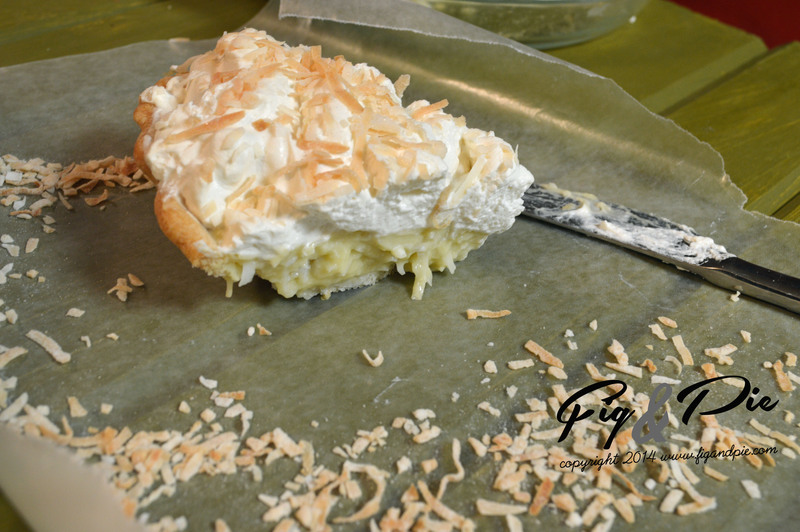 When ready to serve the pie, sprinkle the remaining toasted coconut on top of the whipped topping.